SKS Science offers Adenna disposable gloves in many material types including, latex, vinyl and nitrile. All disposable glove options are FDA, FFDCA, and USDA compliant, as well as available in a full range of sizes to suit the varying needs of laboratory and medical facilities. Disposable nitrile gloves are 100% latex free and available in violet, black, blue and white in a range of sizes. Nitrile disposable gloves are thin which offers greater dexterity, while still providing a substantial barrier. These disposable gloves are textured to provide grip when used in both dry and wet applications. The powder free glove interiors are composed of a thermal sensitive compound that absorbs body heat and forms to the hand for an snug fit. Disposable vinyl gloves are composed primarily of PVC and DINP with additional compounds to assist in strength, flexibility, and versatility. These disposable gloves are 100% latex free, making them well suited for long term use even for those with latex allergies and sensitivities. Opt for either powdered or powder free vinyl disposable gloves in either clear or beige. The powder is USP grade edible cornstarch, and provides easier donning and removal of the gloves, while maintaining the same snug, flexible fit as the powder free options. Each vinyl disposable glove is ambidextrous with a beaded cuff for quick access in laboratories and hospitals. Disposable latex gloves are a practical and safe choice for settings that require thicker gloves with a high level of protection. With an average finger thickness of 7 mm or greater, SKS Science provides latex disposable gloves in silver, black, and gold. The black latex disposable gloves are textured, while the silver and gold gloves are manufactured with a light chlorination rinse. 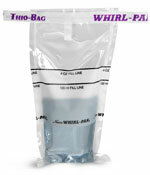 This rinse provides a tacky grip for use in various dry and wet settings. All three colors are powder free, ambidextrous, feature a beaded cuff, and meet ASTM D3578-99 requirements. There are many factors to consider in choosing the best disposable gloves for your facility. SKS Science has a useful Chemical Resistance Chart for the three types of disposable gloves offered. This chart helps to identify the best material for your exact application. The Properties of Glove Materials Chart may also be helpful, providing a side-by-side comparison of the disposable glove types. Storage recommendations are exactly the same for all glove types. Keep the disposable gloves in the original box within a dry, cool, and well-ventilated area. Disposable gloves should be stored away from dust, sunlight, moisture and x ray for continual proper barriers. SKS Science highly recommends storage in conditions that do not exceed 100° F(37° C), and to examine each glove for any imperfections (small tears or visible wear) before use. 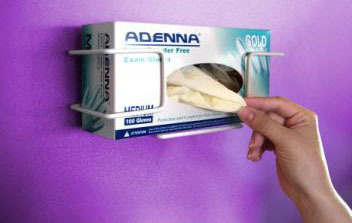 For areas with limited counter space, or to provide convenient access, purchase white metal glove box holders. These glove box holders include all the necessary hardware for quick installation and can hold one box horizontally or two boxes vertically. The open front design allows users to quickly see the glove size and color.